My Best Friend is a collection that celebrates friendship. Friends come into our lives for many reasons. If we are lucky we find friendships that last a lifetime. Celebrate those wonderful friendships with this beautiful collection. Designed with soft pink, burgandy and khaki colors and accented with charcoal black, grey and white. The perfect background colors and embellishments for documenting those special relationships in your life. Four (4) sheets of embellishments including but not limited to heart charm, clock hands, doily, fabric and paper flowers, stitches, string, pearl scatter and more. 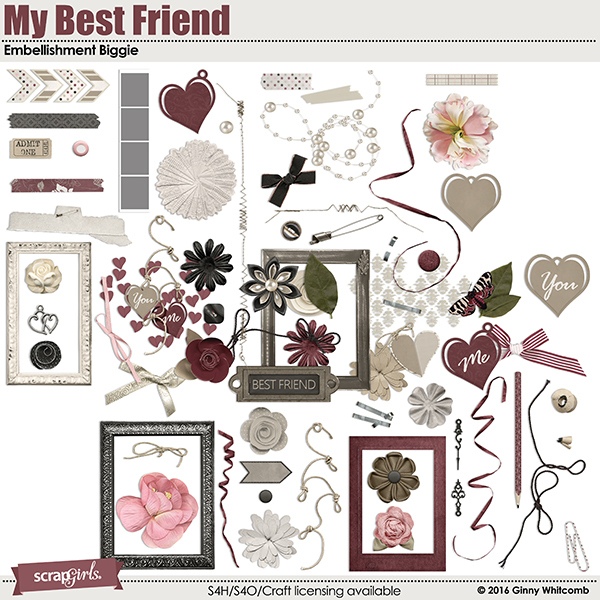 My Best Friend Embellishment Mini has a combination of photo and floral clusters enabling you to pop them onto your scrapbooking page for a quick finished look. Designed with soft pink, burgandy and khaki colors and accented with charcoal black, grey and white. 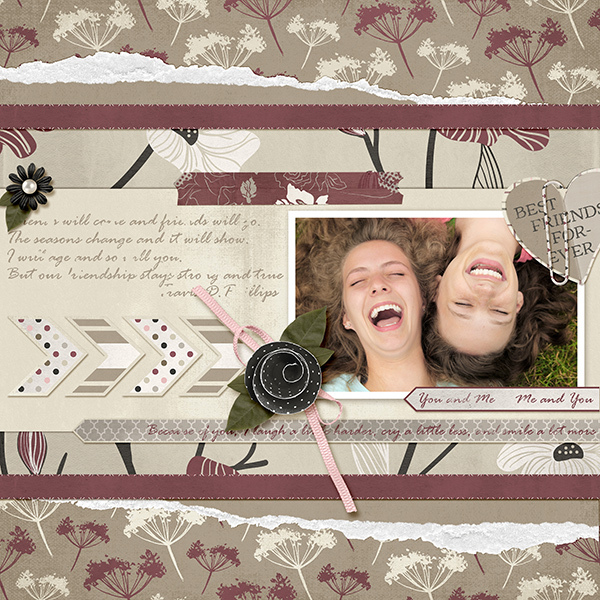 My Best Friend Paper Mini Collection is designed with burgandy, black, and grey colors accented with khaki and white. 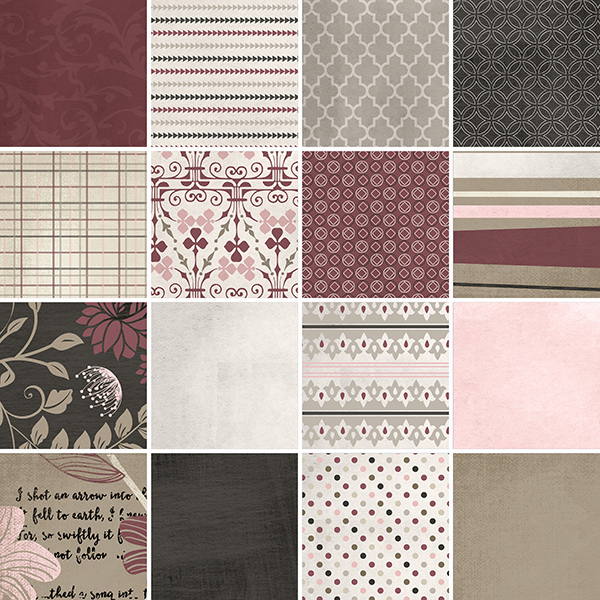 Patterned and textured digital background papers of floral, damask, and quatrefoil. Coordinates with the My Best Friend Collections. Paper tears in various shapes and sizes designed to add a little depth and texture to your layouts, photos and projects. Designed to coordinate with the My Best Friend Collections. My Best Friend Paper Super Mini is designed with crème and burgandy colors. Accented with khaki, white and black. 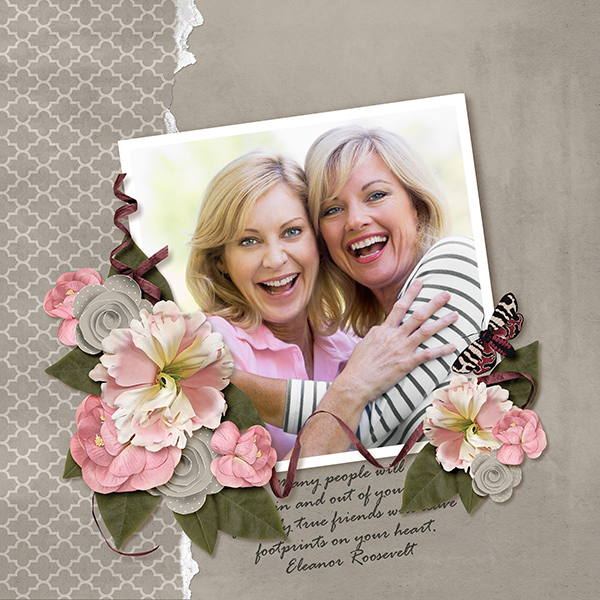 Patterned and textured digital background papers that coordinate with the My Best Friend Collections. Six (6) Friendship themed poems and quotes that coordinate with the My Best Friend Collections. Provided in both clean and shabby text in png format. 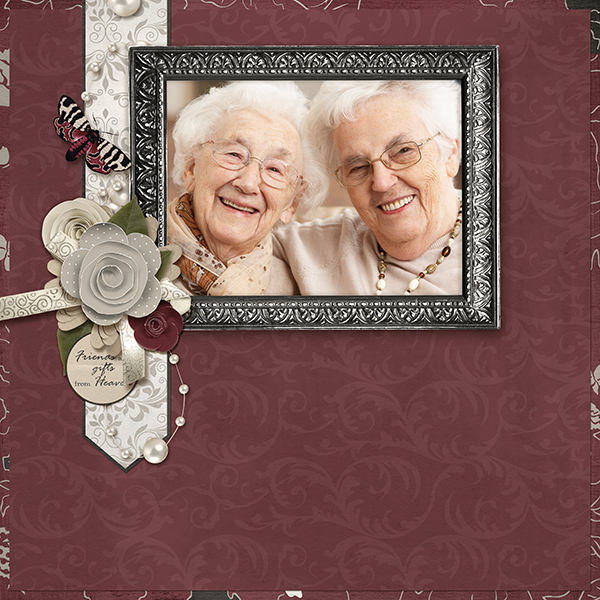 Digitally scrap your most precious memories and photos with this beautiful Always and Forever Collection designed in soft fall colors. The ScrapSimple Embellishment Templates: Family Recipe provide you with all of your kitchen essentials. The ScrapSimple Paper Templates: Family Recipe - Patterns provides you with fabulous kitchen themed layered files for your projects.